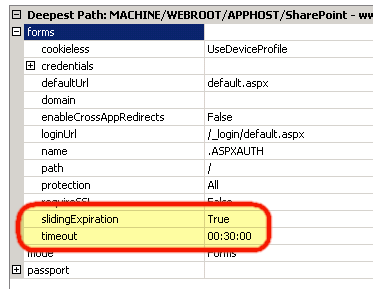 Now this is not just limited to SharePoint, but, since my main focus is SharePoint, this is where I come across this issue the most. When you log in with SharePoint via Forms Based Authentication, there is that little “Sign me in automatically” checkbox below the FBA login form. If you check this, you may realize that a few hours later, when you go to log back into the site, it does not seem to actually remember you at all. That is because by default, it will only remember you for 30 minutes. We can change this quite easily however… This option is controlled within your web application configuration file (web.config) on the server. The definitions for both of these settings are below, taken from MSDN. Hopefully this helps in your configuration of FBA for SharePoint, as well as other FBA applications. 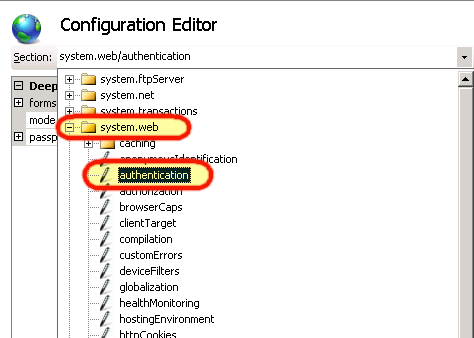 We’ve actually found that the regular asp.net forms settings in the web.config file don’t really apply to sp2010 FBA because of the usage of Claims Auth and the STS. This is especially true when it comes to the sliding expiration settings because of the multiple cookies that the STS uses to determine both the full token lifetime as well as the session lifetime. The implementation of a sliding session in 2010 is fairly complex and requires some global asax changes, and even then, the results don’t seem to be very consistent. After much trial and error using a combination of code from the following four posts, we did get it to work eventually. Rich – thank you for the information! I have not tested the sliding sessions in great depth with Claims and FBA on 2010, the timeout is definitely functional.